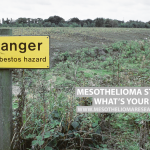 Mesothelioma is a rare but aggressive type of cancer caused by asbestos exposure. 70% of the cases occur in the lining of the lungs, the pleura, and it is known as pleural mesothelioma. 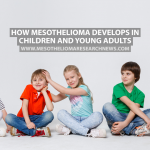 Other forms include peritoneal mesothelioma, which occurs in the lining of the abdomen, the peritoneum, pericardial mesothelioma, developed in the pericardium of the heart, and testicular mesothelioma, which occurs in the tunica vaginalis testis. 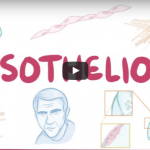 There is no cure for mesothelioma, but there are treatments that help patients cope with the symptoms such as surgery, chemotherapy and radiation therapy. However, in advanced stages of the disease, palliative care may be the recommended option of treatment. 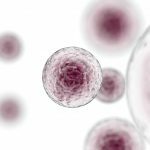 In the case of the most common form of the disease, pleural mesothelioma, there are two palliative care procedures, which are called pleurodesis and thoracentis. Both of them consist of the extraction of fluid using a tube, and are used to alleviate the pressure created on the lungs. In addition, a pleurodesis eliminates as well the space available for fluid buildup with a substance similar to talc that seals the blank. 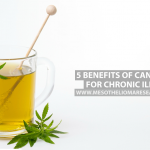 While pleurodesis is a more permanent solution, it involves some pain. Patients who suffer from peritoneal mesothelioma are, however, usually ineligible for curative surgery. A procedure known as paracentesis can relieve the pain and digestive complications, as well as increase patients’ quality of life. Paracentesis consists of the removal of ascites, which is the fluid accumulated in the abdominal cavity. Cytoreductive surgery, also known as debulking surgery, is also an option, but it is a highly invasive procedure, during which part of the malignant tumor is removed. In the case of pericardial mesothelioma, palliative care is the course of treatment for the majority of the patients due to the proximity to the heart and risk of complications. 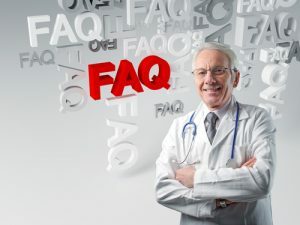 Pericardiocentis is a procedure during which the fluid is removed from the sac around the heart, the pericardium, and it is expected to reduce chest pain, coughing, difficulty breathing and an irregular heartbeat. Chemotherapy is also an option for some patients, For patients with pleural diagnosis, the most common combination of chemo drugs is pemetrexed (Alimta) and cisplatin, which are used to kill cancerous mesothelioma cells and, consequently, alleviate the symptoms and increase quality of life. Radiation therapy is often used in combination with chemotherapy. Radiation is expected to reduce the size of the tumor, but it can cause side effects like skin irritations, fatigue, pleural effusion and pulmonary toxicity. Peritoneal mesothelioma can also be treated with palliative chemotherapy, when combined with cytoreductive surgery. During the procedure, physicians administer heated chemotherapy in the abdominal cavity, which significantly increases the efficacy of chemotherapy. Patients with peritoneal mesothelioma are, however, usually not treated with radiation therapy. In the case of patients with pericardial mesothelioma, radiation alone or in combination with chemotherapy is known to be ineffective, and the only chemotherapy drug recommended for palliative care is gemcitabine, which have an average success rate of 40%. 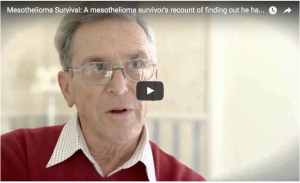 In addition to surgery, chemotherapy and radiation therapy, there are also other techniques that can be used as a palliative care for mesothelioma. Medication, including over-the-counter medication like ibuprofen (Motrin) or acetaminophen (Tylenol), are used to reduce mild discomfort on the bones or muscles, and general aches. Prescription opioids, morphine or oxycodone can help in the case of intense of chronic pain. In addition, pain management techniques include warm baths, warm washcloth, ice or cold packs, massages and acupuncture, which reduce inflammation and pain. 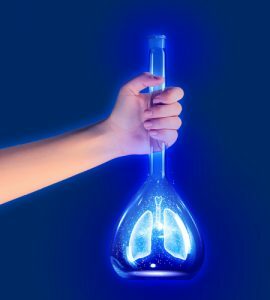 Respiratory therapy can also be helpful, particularly in patients with pleural mesothelioma, to improve breathing and lung function. There are also cognitive and behavioral techniques based on the mental features of the disease. Relaxation consist on deep breathing and relaxing the muscles to reduce discomfort and anxiety, while distraction is based on altering the focus of attention and visualization on imagining the pain as a symbol or object and picture it diminishing and vanishing.